Jim Carrey didn’t always find life funny. He’s gone through some rough times himself, suffering from depression. So, he had a surprising message for a group of former gang members and prisoners at Homeboy Industries in Los Angeles. It was a message of hope, redemption, and God’s grace. 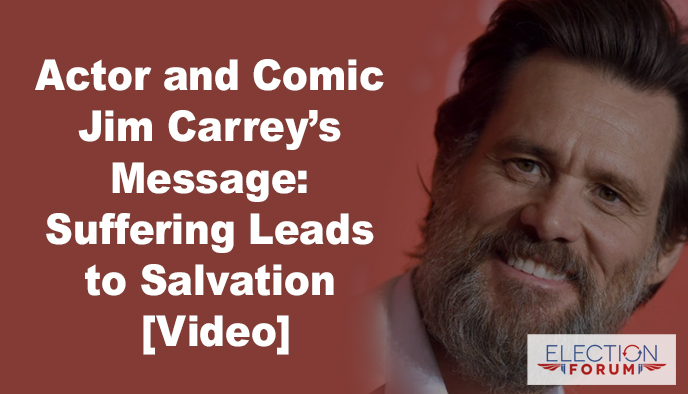 In this powerful 8-minute video, Carrey shares with the crowd what gives him hope in the midst of life’s trials. “Ultimately, I believe that suffering leads to salvation,” he said. “In fact, it’s the only way … we either decide to go through the gate of resentment, which leads to vengeance, which leads to self-harm, which leads to harming others. … Or we go through the gate of forgiveness, which leads to grace. Well….Carrey has a mixed message, very mixed up and confused. It sounds clearly unrehearsed, which is good in one sense, because we are getting straight from Carey what he thinks instead of what was memorized as a script. However, as nice of an individual as he is in his supporting comments for troubled youth, he is either pulling together random thoughts from what he was raised with in Catholicism and trying to sound like he agrees or fits in with the priestly-father who introduced him, or he has developed his own packaged belief system that is off the wall, that includes bits of Christianity, with pantheism (God’s omnipresence is every cell of your body), and Eastern meditation to make the blues go away. When he referred to Jesus Christ on the cross, I listened closely, because it was sounding good when talking about the road of grace is forgiveness. In a sense it is, but forgiving others is not the sole purpose of the cross and it is not the “gate to heaven” by itself. What Jesus did in the crucifixion and resurrection was to provide a different package than what Mr. Carrey presented. Jesus said that we must first repent of our sins and cast ourselves upon Him as the only one who can erase and forgive our sins, which is done through His sinless shed blood on the cross. Otherwise, as good as human forgiveness is between ourselves it will do nothing to get you into the gates of heaven if you have not made Jesus the Lord of your life by acceptance of everything He said instead of only picking what we like. Nice to see a Hollywood icon stand for the faith. Blessings Jim for your courage and encouragement. That was amazing to see one of hollywood’s greatest comedian’s speak and share the good news! Gee I wonder if he’s forgiven Trump? Not buying his goods. You’ve got to practice what you preach. I agree more with Lee.W & Ken. It’s great that he has come out for God but Sounds to me like he has that, ” You are God ” kind of thinking. And I don’t agree with that part. He will have to work on that. I believe that God is working on Jim Carrey. Touching his heart. Just keep praying that Jim Carrey will accept Christ as his Savior, get Baptized and live the rest of his life as a devout Christian. your comment , I know GOD’s love will finish what he started in Jim Carry . 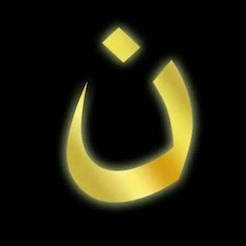 I am so happy for Jim ..and i praise JESUS ., His love for the lost is relentless . Jim Carrey might not have been theologically completely correct but he is on the right path. And to support Homeboy Industries he has been a tremendous blessing. Fr. Greg is a good friend of my brothers and he is the real deal. So God bless Jim Carrey and everything he has done to help Homeboy Industries. AMEN!!! He is on the right path; prayers for his complete dedication to our Lord & Savior! As far as meditating goes, he could be meditating daily on God’s word. He can also describe God living in us anyway he wants to. Seems to me like he was trying to keep it short, sweet, and simple. On indirectly related subject, Carrey sure dislikes Trump while supporting socialists. Maybe he should study history so he can understand how socialism is ‘legalized-theft under the pretense of aiding the needy.’ A government type eventually empowering murderous dictators like the one in Venezuela. Maybe he needs to get into a bible-believing fellowship with a solid bible-teaching pastor. As a baby Christian, I had no background in doctrine – it took YEARS for me to align with the Bible and sound theology. Praise God for calling Jim Carrey into the fold. And pray for him!